What makes this event awesome? • In-depth technology overview of your new Honda. • In-depth safety systems overview of your new Honda. • Learn about maintaining the health of your vehicle with Certified Honda Technicians. 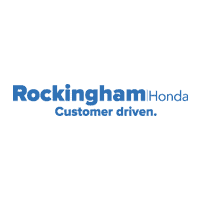 • Ownership & Staff ready to answer any questions regarding your new Honda vehicle. FIRST SESSION: Our first session will focus on Audio and Connectivity topics. We will go over connecting Bluetooth, entertainment systems, apps, and useful tips. SECOND SESSION: Our second session will go in-depth about the safety systems in your new vehicle. We will talk about lane keep assist, collision mitigation system, airbags, restraint systems, and so much more! THIRD SESSION: The third offering will center around the service of your new vehicle. You’ll get a chance to see a Honda up on a lift as we walk around a vehicle and teach you more about the needs of your car. You’ll be able to get an inside look at who is caring for your vehicle and the process we follow when your vehicle is in our care! There will be plenty of parking and giveaways too! Please RSVP and let us know if you will be bringing any guests along.